Ellicottville has lots to brag about. 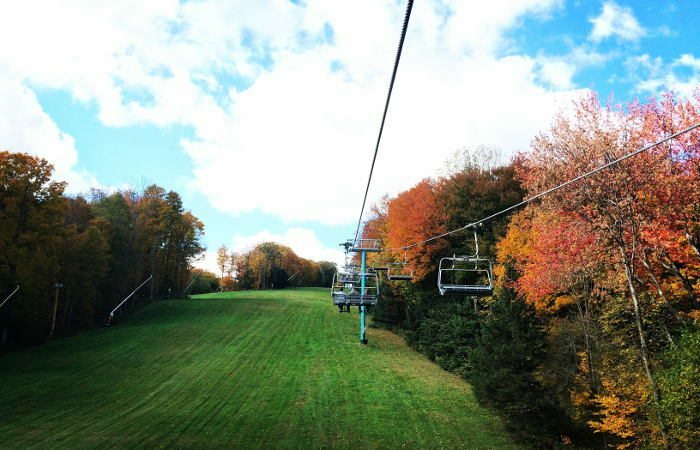 Between the beautiful scenery, rolling hills, eclectic shops and many events, a mini trip to Ellicottville is the perfect way to finish off your summer or begin your fall. This adorable village is only about an hour south of Buffalo’s City Hall, and the drive is pretty enjoyable. Once you get a bit past Buffalo, the topography is beautiful and every route becomes the scenic route. Another thing to keep in mind: as late September rolls around the fall foliage is absolutely breathtaking. Katy’s is a cute cafe located in Washington Square. Get your breakfast fix with any of their traditional eggs, home fries and meat dishes, have something a little sweeter and get french toast, or try some of their “breakfast creations” which consist of unique takes on breakfast burritos and sandwiches. They also have an array of espresso drinks and teas (which you’ll need for a long day of exploring). This village always has something going on, so make sure to check the event calendar before heading out. Some classic favorites are the Taste of Ellicottville and Fall Festival. They also have many smaller festivals year-round. Check out the full event calendar here. Aside from being beautiful inside, Dina’s is the best spot for delicious lunch and appetizers. 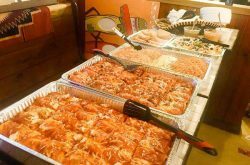 Located in downtown Ellicottville, Dina’s serves delicious apps like lobster quesadillas, baked brie with walnut brown sugar glaze and raspberry sauce, and stuffed banana peppers. They also have soups, salad, pizza and entrees if you’re looking for something more substantial. 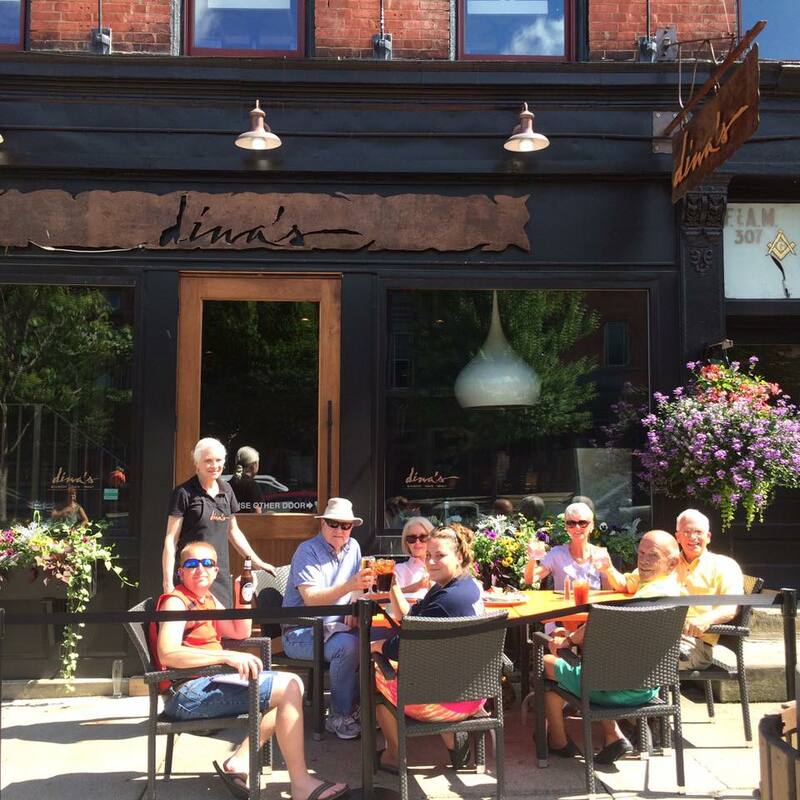 Bonus: Dina’s also has outdoor seating in front of their building overlooking the beautiful downtown area. To continue your relaxing day, visit the Nannen Arboretum. This 8-acre long flower garden is free and open to the public, 24 hours a day. The arboretum features many gardens (including a Japanese Gardens), trees, pond with fish and paths to walk. Take a few minutes from your day to appreciate nature and snap some pictures. For a sneak peek, take a virtual tour here. 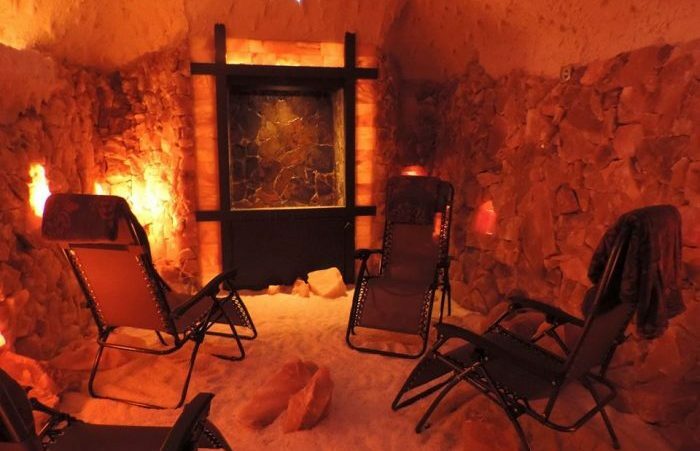 Ellicottville is home to one of the country’s only salt cave spas. What is a salt cave spa exactly? You’re basically relaxing in this cave surrounded by Himalayan salt which you breathe in through tiny particles. If it sounds a little weird, maybe it is, but they say it cleanses your body of toxins and at the very least it sounds pretty stress-relieving. This spa also offers a few different massage options, including a warm salt stone massage, Swedish massage, or halotherapy massage. Sit back and relax afterward in their sauna. You wouldn’t be making the most out of a trip to Ellicottville without checking out at least a few of their charming shops. 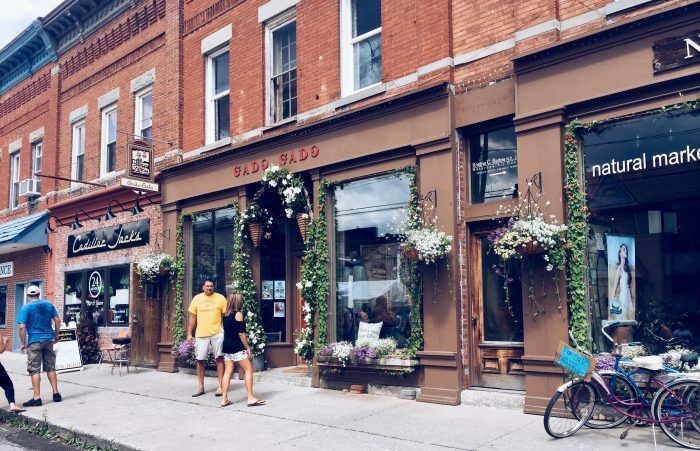 Ellicottville’s downtown strip has many different gems, with everything from chic clothes and homeware, craft artisan goods, adventure wear and crazy knick-knacks. We suggest stopping by Gado-Gado if you’re looking for any updates to your wardrobe. They carry niche boutique items at fair prices. Earth Arts is perfect for original and unique decorations for your home. If you want to see somewhere really different, check out The Purple Doorknob, a specialty sock store (yes, socks) with socks in all different shapes, sizes, colors and funky patterns. 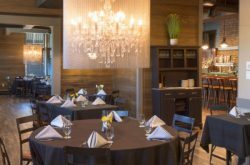 Villagio describes themselves as “relaxed Italian” and that sounds like the perfect dinner after a day full of galavanting. Stop by Villagio if you’re in the mood for any kind of pasta dish, appetizers, and a great atmosphere. 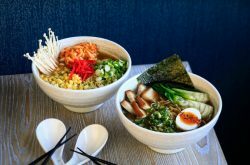 This is a great place to go if you’re really hungry, because portions are large and the menu looks so good, chances are you’ll want to order everything on it. P.S. If you order one thing, let it be the risotto sticks. They are *life-changing*. After that large dinner, of course you’ll want ice cream right? 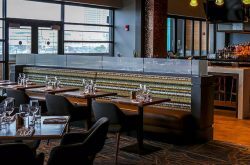 Hopefully, you saved at least a little room because the Tee Bar is definitely somewhere you’ll want to check out. 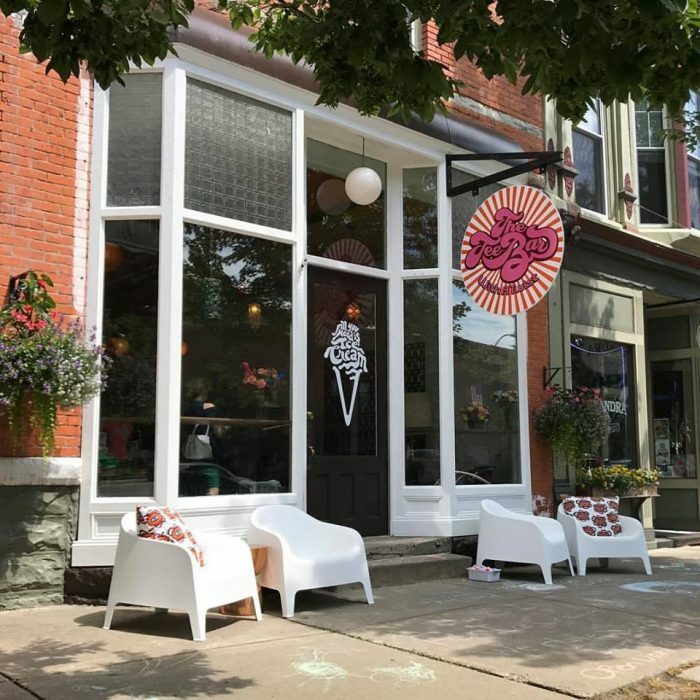 It’s a hybrid tee shirt and ice cream bar, where they sell cool Ellicottville tee shirts with sweet designs and many different ice cream flavors, hard and soft. Last but not least, end the night with a few beers from one of the regions most renowned breweries, EBC. 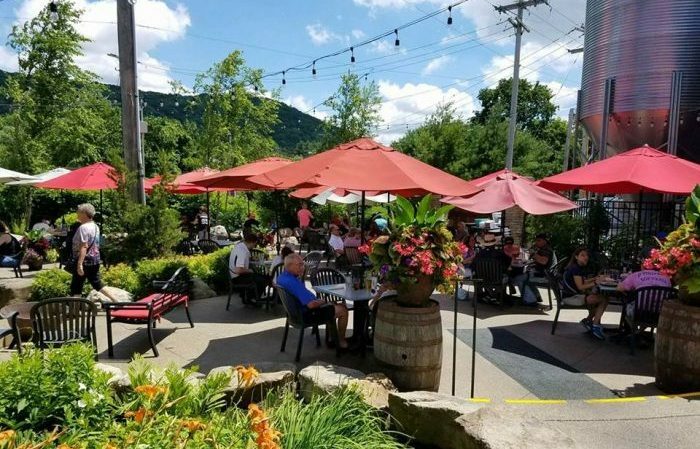 Ellicottville Brewing has an extensive menu of their own beers, with many seasonal options as well. They have IPAs, fruity beers, featured drafts and everything in between. This is a must-stop for craft beer lovers, or anyone looking to have a good time with some good beer. 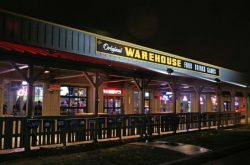 Oh, and did we mention they have a sweet patio?